Fun Things To Do in Jackson Hole, Wyoming! 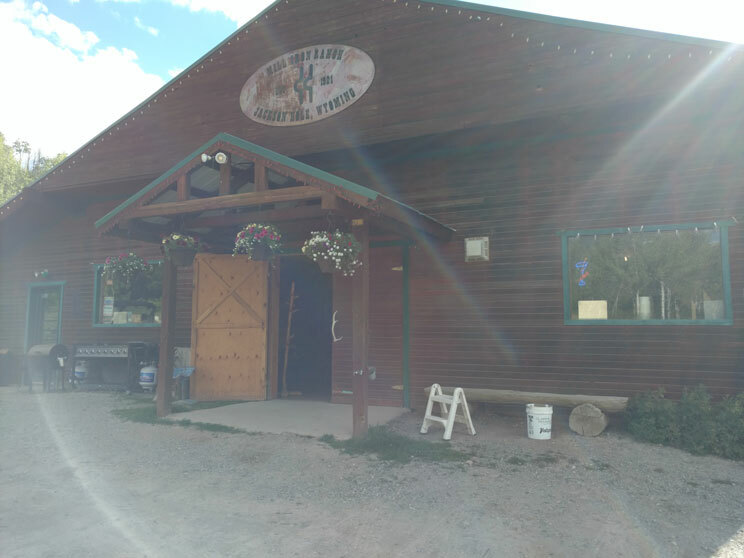 We had heard great stories about the horse rides at the Mill Iron Ranch in Jackson Hole, and many years ago I had gotten to eat one of Chancy’s famous steaks. Our business manager was visiting Jackson Hole from Atlanta, and we decided to have a steak dinner at Mill Iron Ranch. The drive to Mill Iron is beautiful, after a 10 minute drive South from the Town of Jackson, a winding gravel road up a narrow canyon, through the ranch gates, which according to western code, we closed behind us after passing through. We first saw the area to the left where the horse rides happen. On this trip, we did not go on a ride, and rather went directly to dinner. It was peaceful and beautiful looking at the horses as we drove by! We went up the hill to the right to the chow hall area, and mistakenly drove past the building the first time. The correct place to park is before the building. We went inside and had a drink or two at the bar while chatting with Coby, Kim and the rest of the friendly staff. As locals ourselves, we knew them from various other circumstances so we chatted them up as we waited for the trail ride to return. It was late getting back that day, be the dance hall, bar and restaurant are all in an open-concept room, so we just sat back and had another drink. 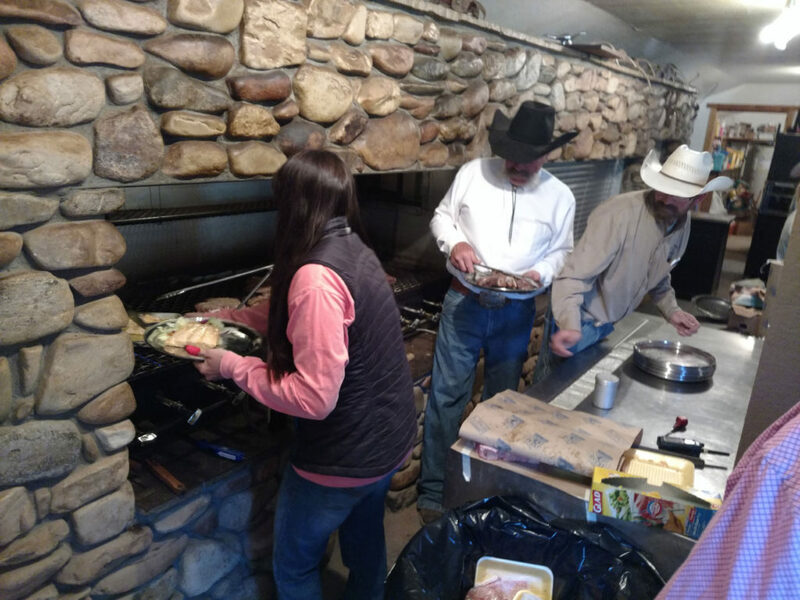 Soon enough, Chancy and the crew had the steaks grilling and served everyone up with a steak done to their liking. 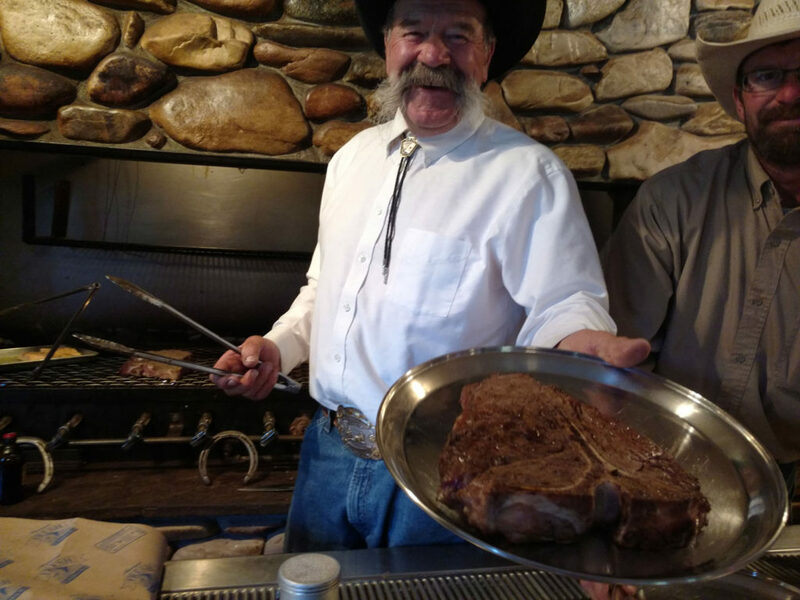 Many say that the Mill Iron Ranch steaks are the best in Jackson Hole, even topping the Cowboy Steakhouse, and we have to agree, they were awesome! The steaks were great, and I broke my no-carb rule to have the potato, which was also wonderful! 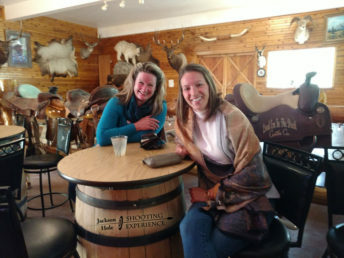 It is a great idea to visit the Mill Iron Ranch Horse Riding and Steak Dinner in Jackson Hole, the views, people and western flavor are excellent!